I must say that Army wives decorate their homes in the most beautiful and unique way. I have great respect for them and always fall for their aesthetic sense. The nomadic life they lead, packing and unpacking constantly and moving from city to city can be a daunting task for us all but army wives become quite adept not only at moving house but also at transforming it into a home. 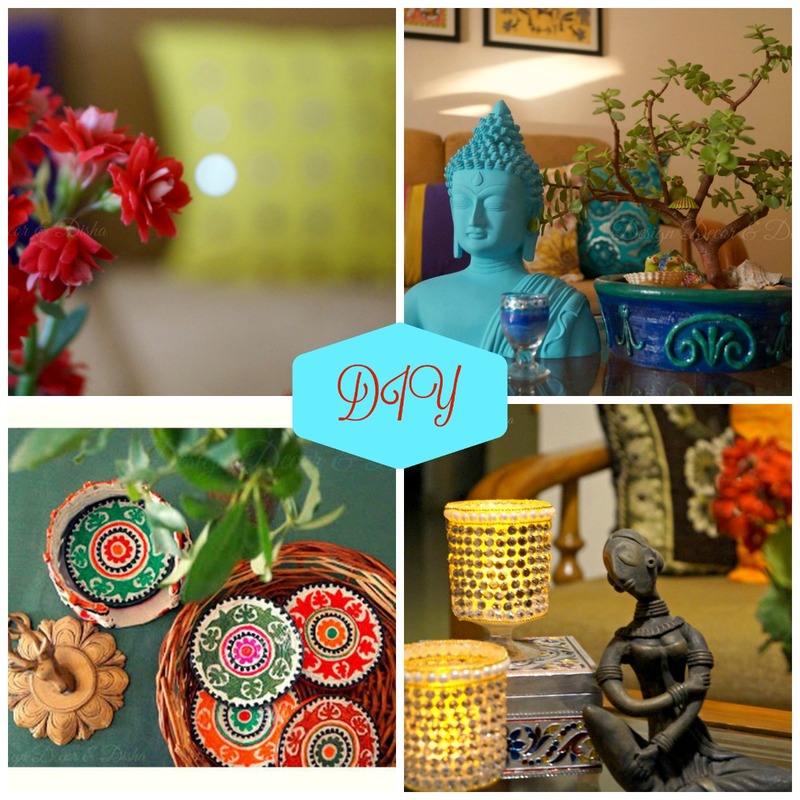 Today I am showcasing one such home of an army wife. 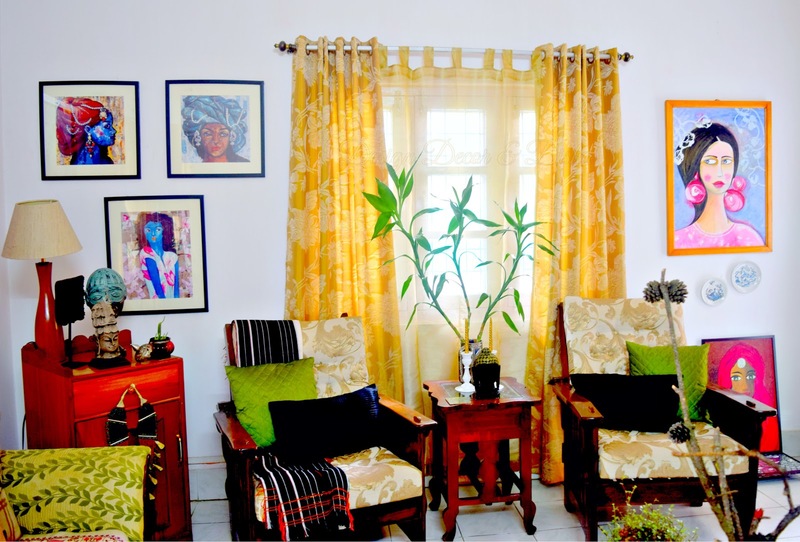 Dear readers, please welcome Ashima Sharda, a journalist, writer and an army wife who opens the door to her eclectic bohemian home for us all. Come on in!! Here's a tete-a-tete with Ashima. "I am a trained journalist and writer by profession and home decorator and stylist by choice. 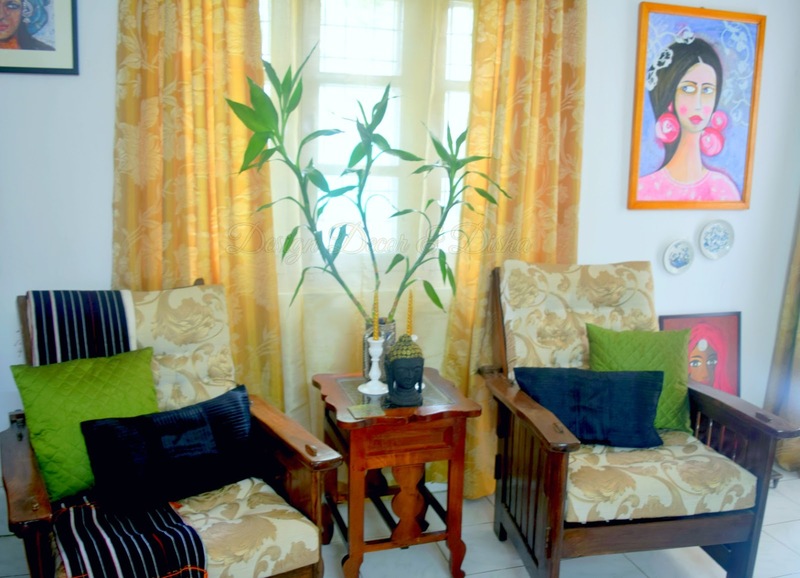 Ever since I got married to an army officer and started making my home in every part of the country every few years, I began experimenting and trying out new home styles." It is quite evident that Ashima has a thing for various kind of paintings. 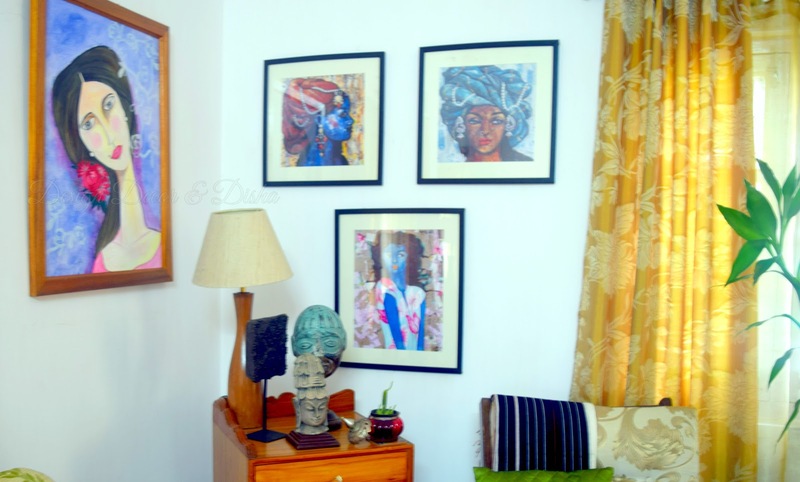 Walls in white create a perfect backdrop for all the colourful paintings that have found their rightful place in Ashima's home. And mind you that all these paintings are done by the talented lady herself. Proud of you Ashima! Ashima's home appears to be reflective of world travels. Here is how she cultivated well travelled home. "Every place I went to – Jodhpur, Wellington, Kashmir, Tripura, Manipur have had a big influence in my home decorating style. There is an essence of every place that I have lived or travelled to, in my home. Both my husband and nine-year-old son love our home décor, which I keep changing almost every two months because I get easily bored of one style." Ashima is a globetrotter and has travelled to many places which led her to start a travel blog "Come Lets Wander Together" to journal her travel stories and experiences. 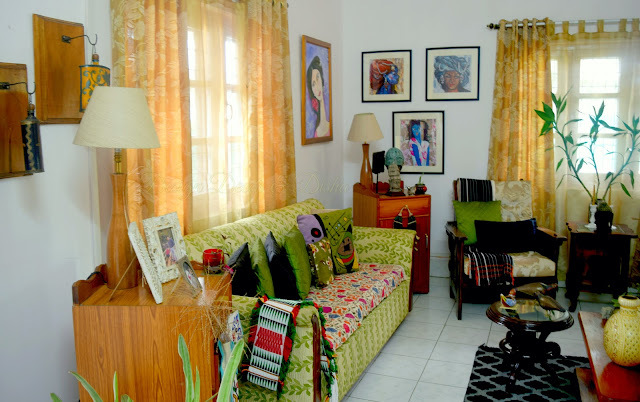 "My home decorating style is a mix of eclectic bohemian and traditional. I love putting up gallery walls and filling them with pictures and my art. Also being an artist, I love painting on acrylic and mostly all the art hanging on my walls is done by me." I love the wall of masks (y'all already know that) and when Ashima showed me pictures of her mask wall, I was stunned to see her huge and appealing mask collection. 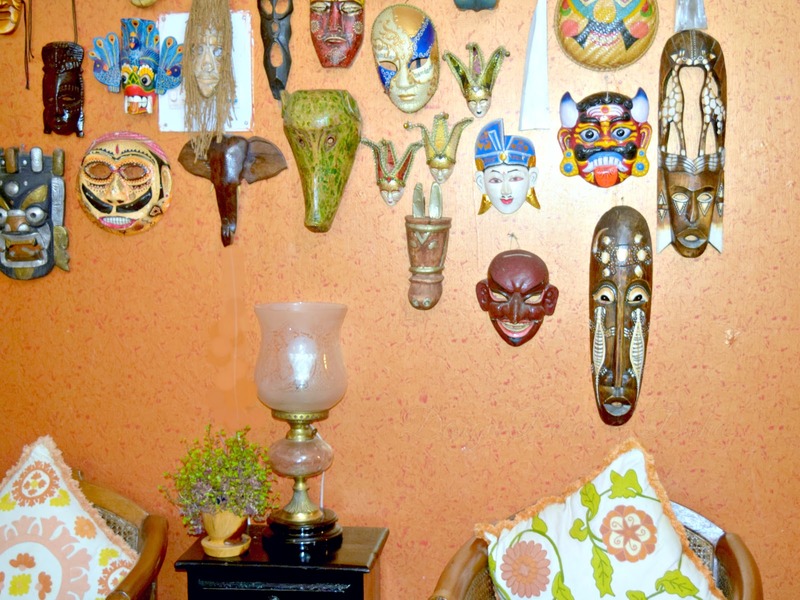 Here's what she says about her mask wall. "Also being an avid traveller, I have curios and souvenirs from all parts of the world. I am also a collector and have a huge collection of masks from all over. 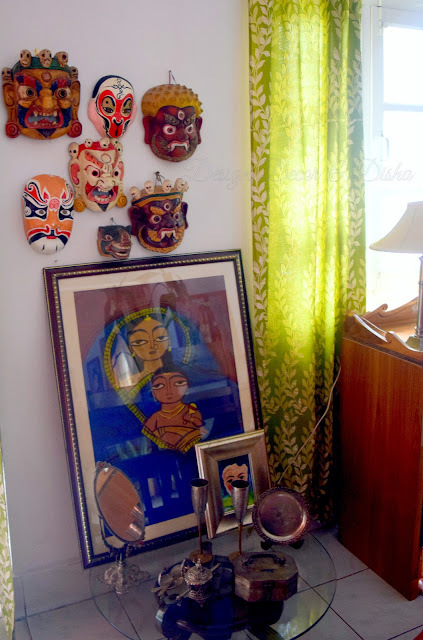 Be it Korea, Japan, China, Bhutan, Nepal or even Venice and Africa, one wall in my house is always dedicated to the masks that I love immensely." 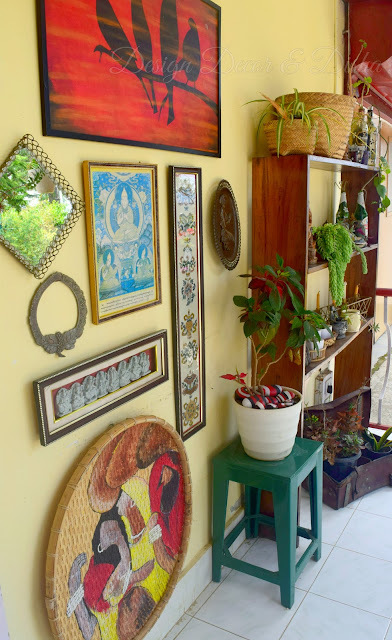 "Most of the small curios in my home are animals and birds, rhinos, elephants, pigeons, swans and cats. 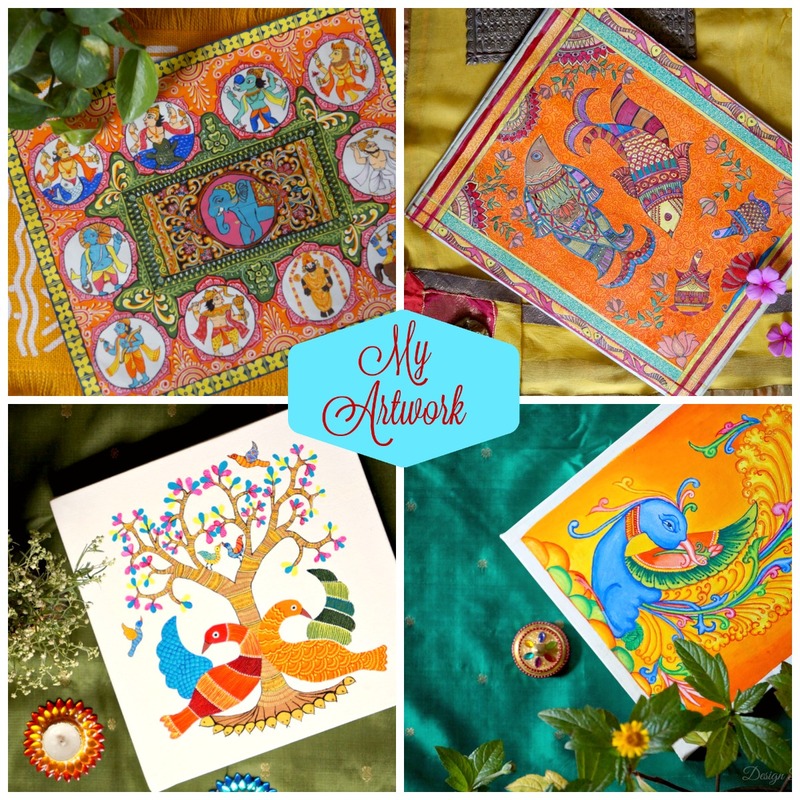 These curios are bought keeping in mind that I am an animal lover and like to keep nature close to me." Ashima loves to collect and that's what makes her home a curated one. connect with like-minded individuals from across the world whose work I admire and try to encapsulate in my style as well. I pick up accessories from anywhere and everywhere. 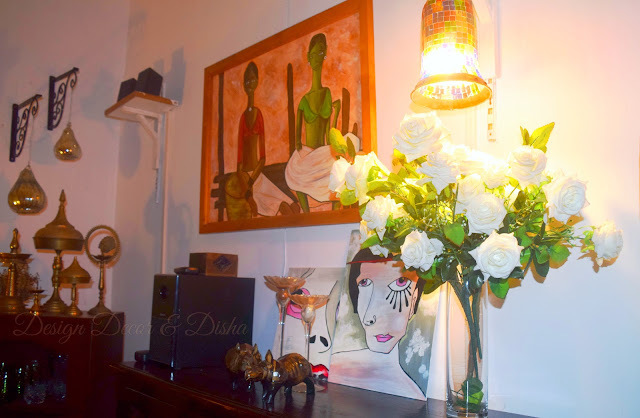 From a flea market to an upscale home store, I have been very generous when it comes to buying things. Being an impulsive buyer, many times I have also improvised on my décor items which I liked in a shop but couldn’t figure out how they would be used in the house." That's all my dear readers. 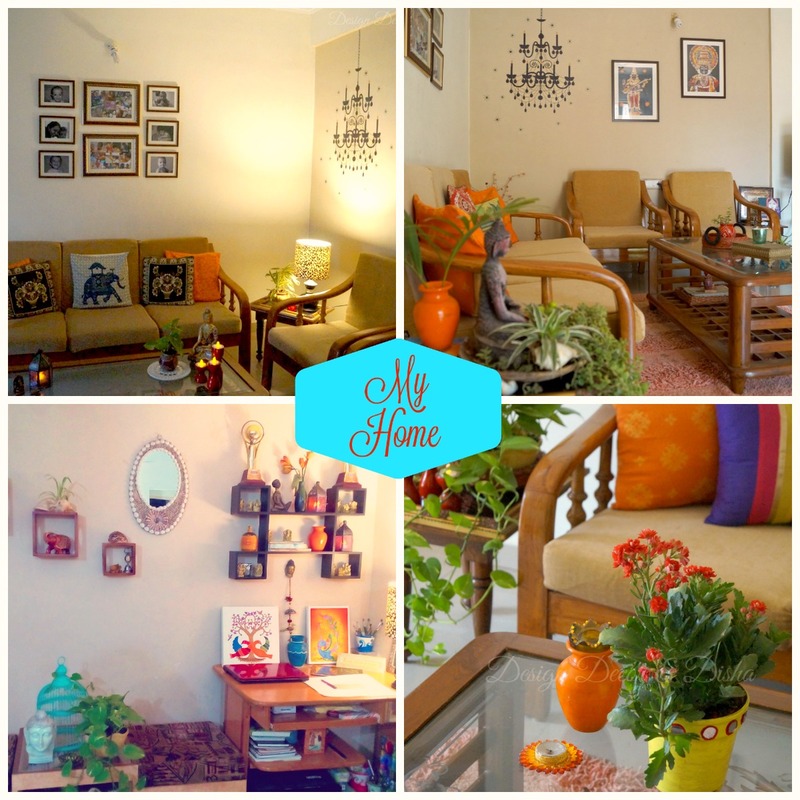 I hope you enjoyed this lovely home tour and will be leaving some sweet notes for Ashima in the comments. Thank you Ashima so much for letting us take a peek inside your eclectic bohemian home and for inspiring us. Wish you love, luck & sunshine!! You my readers, you must have seen my recent Video on Renters Friendly Wall Decor Ideas, if not then click right here to watch it!!! P.S: All the images are Ashima's and subject to copyright. Please seek Disha's or Ashima's permission before using them.